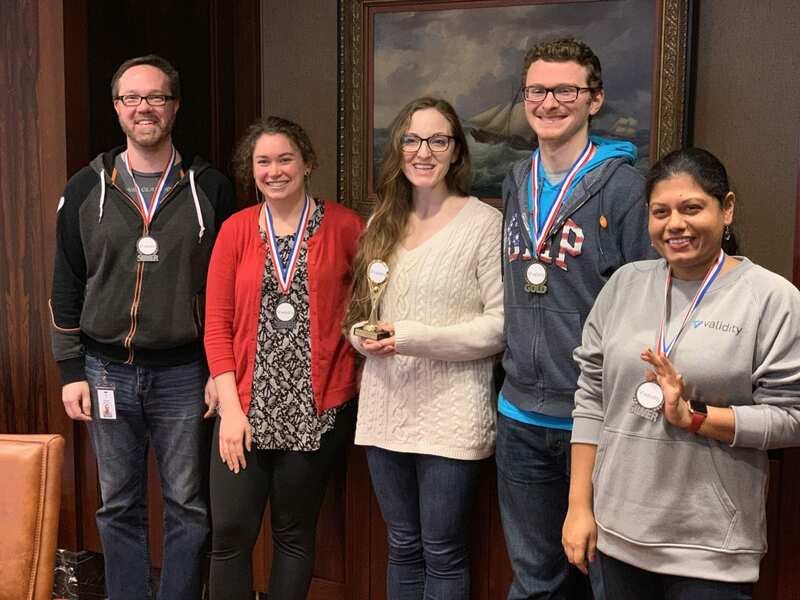 Sarah Higgins (middle) after winning the Validity Hackathon (Fall 2018). At Jibo however, we needed to automate the entire process, which was incredibly complicated. Because Jibo was a robot built with custom hardware that was being turned into its own platform, my mentor and I were responsible for creating the entire build process to communicate with the robot. A software service would not be able to do that. Learning all about what went into a “starting-from-scratch” automation process to deploy software was a life changing experience that made me appreciate the industry side of software building because while writing code, you need to make sure that all of the libraries you choose will work together smoothly. Thank you for sharing your experience with us, Sarah! Be on the lookout for our next #WITSyourcoop feature. If you would like to share your search process, co-op experience (positive or not-as-expected), or have any questions about the co-op process, please email us at coopsandcareers@wit.edu.